It’s been a long wait since Harley-Davidson first teased the Livewire back in 2014. A lot has changed from the initial concept over the past 5 years and its official release is now just around the corner. 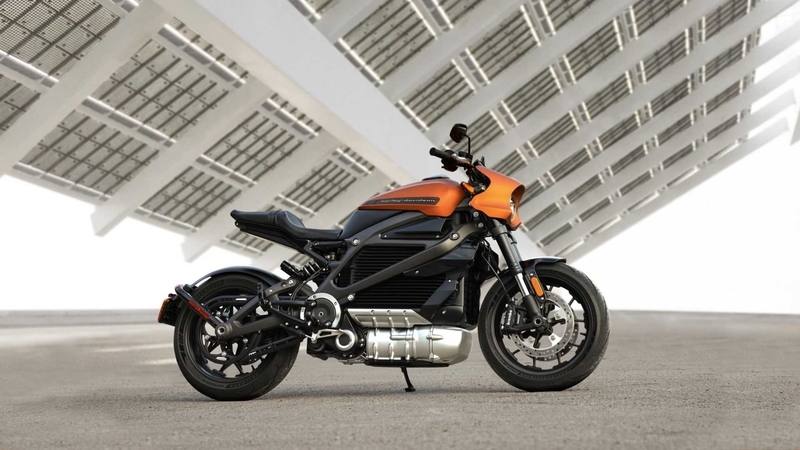 This electric motorcycle marks an important transition for Harley-Davidson as they begin to explore new markets and demographics in a shifting industry. There are still a lot of details that have not been disclosed, such as when the bike is expected to hit US shores and where it is being produced. As a result of the ongoing trade war, Harley-Davidson already announced that they would be moving some production out of the US in an effort to avoid retaliatory tariffs. There is a chance that the Livewire will still be made at one of their manufacturing plants in Wisconsin, Pennsylvania or Missouri but we will have to wait on confirmation. With an MSRP of $29,799, the brands first electric motorcycle is more expensive than any of its comparable rivals. California based companies such as Zero and Lighting both have new electric models this year that are priced well below the LiveWire and claim higher performance numbers. Recently, Harley-Davidson has updated the acceleration figures on the LiveWire with a new claimed 0-60 mph time of just 3 seconds. The 60-80 mph time is even more impressive and at 1.9 seconds, it's quicker than anything non-electric and that includes the legendary Suzuki Hayabusa. Deliveries in the US are set to begin by the end of this year, and in the coming months, we hope to learn more specifics. Will the LiveWire be able to succeed based upon innovative tech, premium parts, and its American legacy? We will find out soon enough. Last edited by Harley-Davidson Livewire News; 03-12-2019 at 09:39 AM. I'm thinking that this bike will arrive sometime this fall. If sales don't meet their targets, that could mean that we will see some decent discounts and incentives offered over the course of winter. I have a reason to believe Harley will send unsold units out to other markets with better producing economies and demographics to go with it. There is going to be a very limited production run of this bike for launch, so even at its price I'm sure every dealer will be able to sell the 1 or two models they get in. This is the safest way for them to gauge consumer interest. wait till they run out of "limited production" models, magically we might see them announce an additional batch equal to what launched. It essentially comes to marketing. If they sell out of the first production run, even if its only a few thousand units, that's a good headline for PR. I would be surprised if this is the case, at least in NA since there are so many established rivals already. There will be enthusiasts who always want to have the latest cutting edge model, and even with specs that are slightly lower than direct competitors, the Livewire does look more premium. Only select dealers will probably even be interested in ordering this bike. The Livewire doesn't have to sell in huge volumes to be determined a success. Even if dealers find that younger demographics are now taking an interest in their bikes, that's already an important shift. I just see this project as a way to test the waters. Harley did demo runs of early prototypes, which was great but, they never know how people really feel about these till they're launched. Putting up the money takes a special kind of person, anyone can attend a show and hop on a demo. Its adapt or die in this industry and Harley knows that touring bikes and cruisers aren't going to be the big sellers in the future. So many people are now looking towards naked sports and adventure bikes.